Kodaikanal or Kodai, fondly known as the Princess of Hill Stations, is a picturesque little hill station in the western ghats of India. The Kodaikanal lake lies at the heart of the town and is the most popular tourist attraction in Kodaikanal. Terrace farms, eucalyptus trees, flower-laden valleys and green meadows define the landscape of this town. Due to the vast influx of tourists, Kodaikanal has turned into yet another busy tourist hot-spot. Hotels have come up all around the town and there are more tourists on the road than locals. I visited Kodaikanal during the Republic Day weekend of 2019. I went there having done lots of research but with no fixed plans. 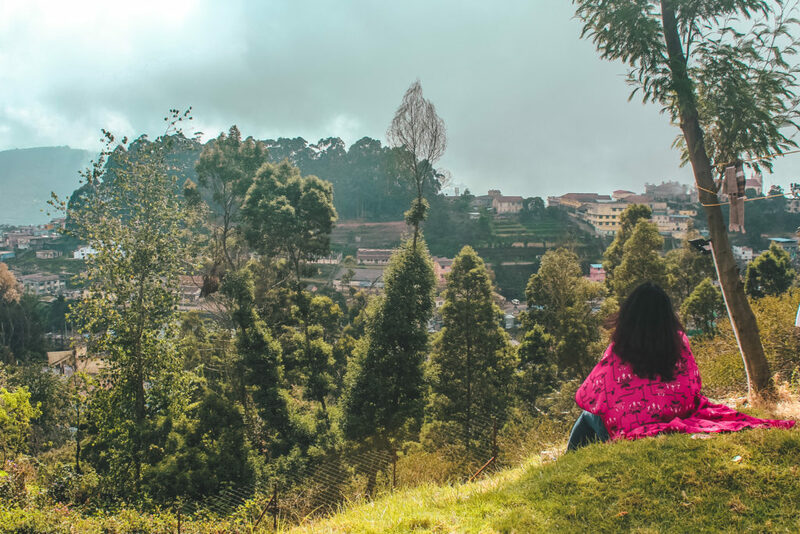 Based on my observations and experiences, I’ve compiled this complete guide on Kodaikanal - covering all the Kodaikanal attractions, how to reach Kodaikanal from different cities, where to stay in Kodaikanal as well as some cost-saving tips. The closest airport to Kodaikanal is Madurai, which is located approximately 135 km away. The nearest railway station to Kodaikanal is Kodaikanal Road, which is at the distance of roughly 80 km from the city center. There are regular buses to Kodaikanal from Madurai and Coimbatore, both of which have an airport. The most convenient and cost-friendly way to reach Kodaikanal from Bangalore is to take an overnight bus. The journey takes about 9-11 hours which can be spent sleeping comfortably in a volvo bus. I heard one horror story where a girl reached the bus stop only to realise that the bus got cancelled due to less number of bookings. Thus keep in mind to call up the bus operator a few hours before your journey to ensure that the bus is still in operation. Another convenient way to get from Bangalore to Kodaikanal is to take a road trip by car. Who doesn’t love a road trip with friends?! The most cost-effective and picturesque way to travel from Madurai to Kodaikanal is to take a bus. A taxi from Madurai to Kodaikanal costs Rs 3300 whereas a government bus from Arapalayam Bus Stand in Madurai to Kodaikanal is as cheap as Rs 98. The bus takes approximately 3.5-4 hours to reach its destination, with one rest stop along the way. The views leading up to the hills are breathtaking. Be sure to grab yourself a window seat on the left side of the bus for the best views! There is absolutely no shortage of hotels within Kodaikanal. If you want to stay within walking distance of most attractions in Kodaikanal, get a hotel closer to the bus stand, which is located at the heart of the city. If you’re looking for peace and quiet, look for a hotel towards the outer section of Kodaikanal. During my visit to Kodai, I stayed at Zostel Kodaikanal, which is a backpacker hostel facing a breathtaking view of the hills. While I’ve stayed at multiple Zostel properties, Zostel Kodaikanal was by-far the most charming one. In fact, I loved this hostel and it's peaceful vibes so much that I cancelled all my plans for an entire evening and the next day just to chill out, sip coffee and read a book. Walking is the best way to explore this town. Being a hill station, there are no auto rickshaws (tuk-tuks) or 2-wheelers for rent. The only option to travel within the city is to take taxis, which can get expensive. Going from any one spot to another costs a minimum of Rs 200 by taxi. 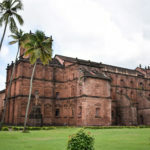 Half day tours start at Rs 1500 where they rush you through various tourist stops in a hurry. In such a scenario, it's best to take things at your own pace, walk around and explore the town. Kodai is a tiny town and most sights are within a few meters from one another. Walking also lets you stop and admire the breathtaking views all around! Being a tiny town, Kodaikanal does not have a whole lot of things to do. There are a few attractions in Kodaikanal, the most popular one being Kodaikanal lake. Apart from that, there are some churches, view points to witness the sunrise as well as trekking routes. Vattakanal, also known as an Israeli town, is a village south of Kodaikanal. The village has great views of the valley and is located close to the popular viewpoints. The Kodaikanal Lake is located right in the heart of the town. It's the center of all sorts of activities ranging from boating, cycling, horse-riding to shopping and eating. There are plenty of boating renting centers around the lake. The boat options range from pedal boats to shikaras. A shikara ride for half an hour costs Rs 490 whereas pedal boats cost considerably less. Bicycles can be rented to take a ride around the stunning 5 km circumference of the lake. Apart from that, there are lots of shops set up all around the lake selling items ranging from clothes and bags to homemade chocolate and yummy street food. Coaker's Walk is a 1 km stretch of path overlooking the hills and valleys. Before I went there, I heard negative reviews about the place saying it gets overcrowded and dirty. However, I reached Coaker's walk at 8 am in the morning when there was hardly anyone around. The mist had just begun to clear up, giving way to the sunlight. In my opinion, early morning is the best time to visit Coaker's walk. Entry fee is a minimal Rs 30. They charge an addition Rs 50 for a camera. Slightly underwhelming but charming in parts, Bryant park is a stone's throw away from both Coaker's Walk and Kodaikanal Lake. While most of the park is just, well, a regular park, one section is really breathtaking. Once you enter the park from the main entrance near the lake, head left until you come to a clearing filled with trees and blue benches. You can spend hours sitting under the cooling shade of these trees with a book in hand. The Bryant Park timings are at 9 am to 6 pm. With a 38% Christian population, it's a no-brainer that Kodaikanal has a bunch of scenic churches. The church in the picture above is the Mount Zion Lutheran Church which is located right in the heart of the city. Surprisingly enough, despite being located in the city, the church has a quaint appeal to it. The minute you walk through the gate, your pace will automatically slow down to take in the charm of the church and the adjoining building. Another notable church in Kodaikanal is the Saleth Matha Church. Most of the well-known eateries in Kodaikanal are located either on the Bazaar road or the P T Road. Both these roads are located in the city center. 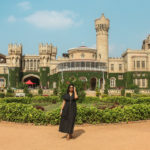 While there are plenty of great restaurants and cafes in Kodaikanal, I've only listed the ones that left a lasting impact on my taste buds and just can't be missed! Pastry Corner (Daily bread) is located in close proximity to the Kodaikanal bus stand. It’s a tiny bakery which opens at 10.30 in the morning. Some of the tastiest items sold there include coriander sandwiches, egg sandwiches, pizzas, quiches, ice creams and of course, pastries. The items on the menu sound like everyday items, but pastry corner does their own take on them, adding another depth of flavor. I went gaga over the sandwiches and the pizza there. They didn’t look any different from the ones I’ve had before, but tasted unbelievably amazing! Be sure to get here early, because it’s a popular bakery and they get sold out quite soon. P T Road is the place to go if you’re looking to stave off hunger pangs when in Kodai. Aby’s Cafe is located on this road, above a store. The interior is done up super cozy with wooden benches, tiny potted plants and a wall full of post-it reviews. The menu includes a wide variety of cuisines such as North Indian, Mexican, Indian street food, Italian etc. The dishes are made to order and are full of flavor. Definitely a must-visit when in Kodaikanal. Another cafe located on P T Road, Cafe Cariappa is the cafe to visit if you’re craving a good cup of coffee. It’s a snug little cafe which can only accommodate a handful of people at once. The decor exudes warmth and comfort, making you want to spend hours sipping coffee. Carrot cafe is one of their most-loved and talked about items. It was without a doubt, one of the lightest, yummiest cake I’ve had. Paired with a strong cup of coffee, they make a match made in heaven. Cafe Cariappa is highly recommended if you’re a coffee-lover like I am. The weather in Kodaikanal is pleasant all-year round. During the winter months of November to February, temperatures drop as low as 12°C. Carry sweaters and warm jackets if you're visiting in those months. Summer months in Kodaikanal are from April to June. This is the most pleasant time to visit the town. However, the crowds also increase during these months. Kodai experiences monsoon showers from July to August. During this time, pack raincoats and waterproof shoes if you're going to be exploring the town. This is indeed a complete guide to Koidakanal! Map, food – you thought of everything. I would love to visit India, hopefully in the next year or so, and I am collecting guides for beautiful places. Koidakanal is now on my list. Thank you! Oh yes, you’ll love Cafe Cariappa!! Kodaikanal Lake looks one of the most beautiful places I have seen. I can just imagine spending some relaxing time there and messing around on the water! Fabulous! It’s indeed a beautiful lake with lots of activities around it! I’ve never heard of Kodaikanal before, so thank you for introducing me to this beautiful place! I would love to rent a pedal boat on the lake and then try the street food from the stands around the lake. I could easily see myself spending an afternoon just hanging out around the lake. Hoping I get to visit one day! India is like a world of its own! I am always just so surprised by how varied the landscapes and cities are! There is so much unique, but I your pictures also hint at some little bits and pieces of European culture left behind. The colonial history there is tragic, but it does currently make for alot of variation. I have yet to visit India, but I really hope to someday. It looks amazing! What a gorgeous looking place. I’ve not heard of Kodaikanal before. 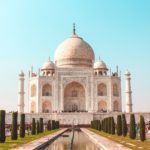 I’ve been to India twice and am currently putting together another adventure. Love finding out about places through blogs like yours, thank you.